Are You Frustrated Because You're Working Hard But Not Seeing Results? 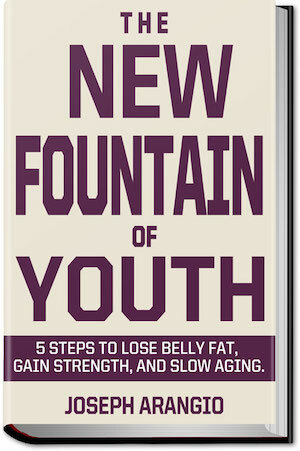 "FREE BOOK for Busy Men & Women, Over 40, Who Want to Drop Belly Fat, Get Strong, and Slow Aging... Without Foolish Diets and Long Hours at the Gym." Yes, I'm happy. I'm good. No, I'm not happy. Please help me. The reason I'm asking is because TODAY is the day to take action. But first you must be sure you have a proven plan and some guidance. That's where I come in. 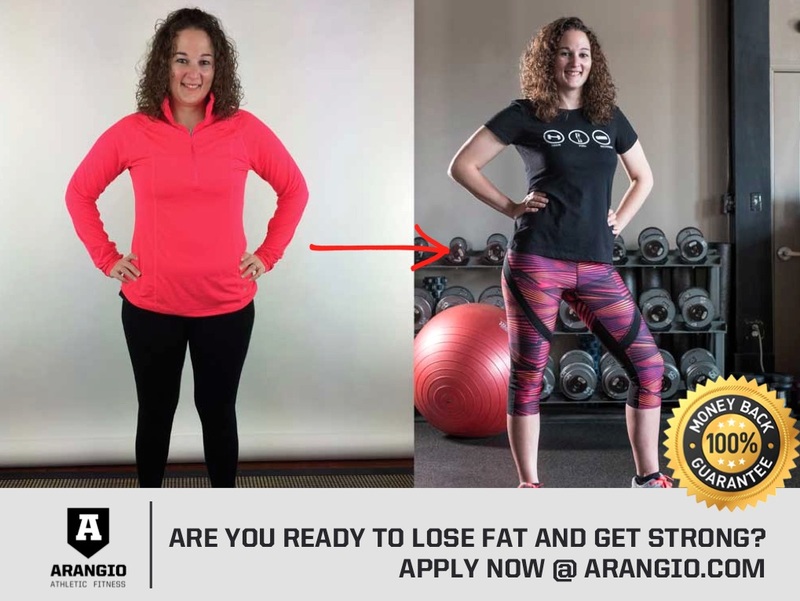 I have room for a couple more client-athletes in my fitness-and-nutrition coaching program and I wanted to reach out to you first to see if you would like to get healthy. Perhaps you, or someone you care about, is in desperate need of a life change. You need to lose pounds and inches. You need to get SERIOUS about your health because many people are depending on you. But for one of many reasons, you have been unsuccessful. Maybe you have a track record of making lofty goals and then not following through. Maybe you are overweight or obese. Maybe even morbidly obese. You see, having dangerous levels of bodyfat causes a host of potential medical problems. Sadly some obese folks aren't scared of these potential health issues. So how can you achieve your goals? You must take ACTION and follow the most simple rules of training, nutrition, sleep, and stress management. Of course you need to stay positive and ditch the naysayers too. At one point my weight ballooned to nearly 290 pounds and I felt terrible. I saw a picture of me holding my first child in the hospital, and I couldn’t believe how fat I looked… that’s what led me to make a change. I realized I needed the guidance of an experienced coach, and I couldn’t do this alone. Enter Coach Joseph Arangio. On my first meeting with Coach Joe, on November 23, 2010, I weighed almost 275 pounds and my bodyfat was 29%. By May of 2011 I was under 225 pounds. … next thing you know it’s January 2013 I was 270 pounds again! I couldn’t believe how fast I got back to where I hated to be. Once again, something triggered in my head and made me get back on board. Although it has never been smooth sailing, I am on my way back down, and I weigh under 210 pounds today. My long term goal is to continue on the path and achieve my healthy ideal weight. 2. Eat smaller meals more often. Eat 5-6 meals, eat every 2-3 hours. 3. Eat immediately when you wake up, and drink water. 4. Eat just before and immediately after workouts, so you feel good for the workout and give your body more fuel after a workout. 5. Improve sleeping conditions. I don’t sleep on the sofa, I don’t drink a lot right before bed (learned this from my kids, so I don’t have to wake up in the middle of the night, and have a hard time going back to sleep)… don’t have caffeine late in the day, so I can sleep better through the night. 6. Schedule workout times and stick to the schedule. This structure keeps you on a routine so your body adjusts and gets acclimated to the times. 7. Work with an experienced coach. A smart coach provides a proven plan, that is science-based, and gets results. This helps me eliminate wasted time thinking about “what should I do?” I just show up, follow the plan, and work out intensely. “Train first thing in the morning. Focus on your morning routine.” - Fran V.
8. Eat fresh foods. Choose lean meats, fish, and vegetables… avoid breads, sugars and pastas. 9. Surround yourself with people who are positive influences in your life. 11. If you do make a mistake, it happens, realize we are not perfect. Recognize the wrongs and correct immediately. i.e. If I do go out and drink, eat some bad food, don’t wait until “Monday” to start again. Start the very next meal, get right back on the plan and you will minimize the impact of a bad decision. Of course life has challenges and obstacles. I have struggled with owning a business… working 90+ hours/week… having three young children. 12. Prioritize your life and you will see what is important and what is not. 13. You must take care of yourself first, so you can take care of those who are important to you. Your personal health should be at the top of any list, because if you are not healthy you will not be able to do any of the following efficiently: work, make money, care for family, etc. 14. Figure out the things that are the problems, identify them, and make the appropriate changes. For me, drinking was at the core of many of these bad decisions. When I drink, I drink too much, usually eat food that is high in calories, feel like crap, wake up late the next morning, crave more greasy food, don’t feel like working out, etc. Not to mention acting like a fool and all the other consequences of drinking. 15. Have a good support group. My amazing wife prepares healthy food for the whole family and makes it easy for me to eat the same way she does. I have to choose NOT to be healthy. 16. Have a clear understanding of what you DON'T like about being overfat: how you look, not being able to physically do things you want, out of breath walking up stairs, difficult to play with your kids, tie your shoes, etc. Remember the embarrassed feeling when people make jokes about your weight, the bad feeling you have when you see a fat picture of yourself. Use these uncomfortable feelings as motivation to take action and make a change so you NEVER feel that way again. Do you learn by seeing, hearing, writing things down on paper? Perhaps you learn by working in small groups. Based on your learning style, you can achieve your goals in a learn-by-doing format at our world-class strength-and-conditioning facility. You will work with me in person. If you are more self-directed, we also have a virtual coaching program available online, so you can work with me from anywhere in the world. Since 1996, I've delivered over 100,000 coaching programs to clients from around the globe. The shades of blue show where our client-athletes live... and the red pin is where you will meet with us in-person, when you join our Premium Fitness-and-Nutrition Coaching Program. No matter how you choose to work with us, in-person or online, you will be successful as long as you follow the plan and take imperfect action. It’s most likely NOT going to be easy. And that’s okay. The challenge in and of itself is part of what makes success feel so good. I have the privilege of speaking heart-to-heart with my client-athletes almost every day. We talk about their struggles, their goals, their personal desires. Speaking as honestly and openly as we can to help them set a map to success, whatever their definition of that may be. The fascinating part about all of this is that I often find myself giving them permission for things to be hard. Once we can sincerely wrap our heads around that one fact, we have the freedom to focus on why it's worth it. Whatever you're struggling with, your fitness, your career, school, family, self... It's okay for it to be hard. Because hands down... It's going to be worth it. Acknowledge the challenge and revel in the power and capability you have to overcome it. "Schedule your workouts like an important appointment that you simply can't skip." - Shawn Q. Honest effort, consistency, taking imperfect action. I also insist that you update me with their progress, every single week, on Mondays. We lovingly call these progress check-ins, "Measurement Mondays." It's as simple as stepping on a fancy scale that measures bodyfat and weight. 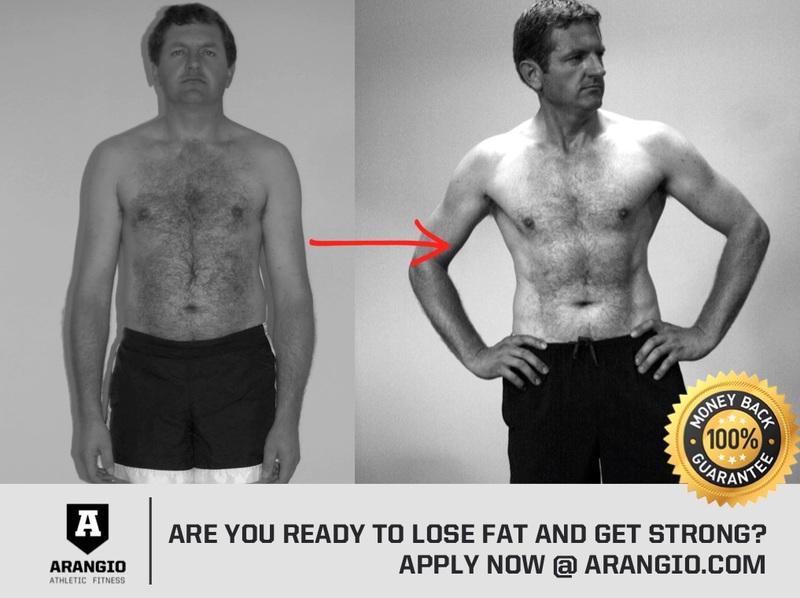 You can get so much insight about the health of someone simply by knowing their bodyfat. Weight on the scale reveals only part of their story; however, bodyfat tells you about someone's daily habits, because, well, you are the sum of your habits. As a coach, bodyfat percentage is THE gold-standard measurement and the only piece of data I really care about. 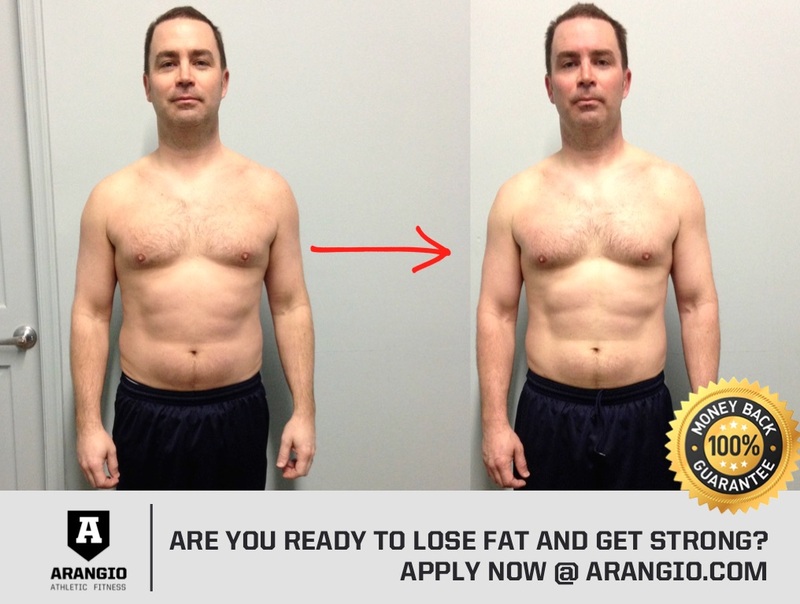 Do you know exactly where you are in your journey to achieve athletic levels of bodyfat? Well, if you don't, here's my own chart based on over 20 years of my personal experience as a strength and conditioning coach. "Ditch the crabs, and negative 'friends' in your environment." - Scott U. Side note: I'm still baffled by the fact that nearly all doctors measure height and weight at a regular checkup... but not bodyfat! Perhaps you’re just starting out or have followed a structured training-and-nutrition plan for a while. The only thing I’m pretty sure of is that if you’re reading this – you want to achieve your ideal body. You want to be lean, strong, and healthy, so you can truly enjoy your life. Hopefully you want to leave a legacy too. Make a difference and leave our world better than you found it. You will need to leave your comfort zone to do it. Probably more than once or twice. You’ll be uncomfortable. You’ll be uncertain. That’s okay – greatness doesn’t come with a guarantee. Every bit of success that I’ve enjoyed has come by stepping out of my comfort zone. All the people I know and those I’ve studied who have achieved truly great things – they stepped out of their comfort zone to get there as well. So, if you want to finally rebuild your body, the journey begins with stepping out of your comfort zone. I had a great chat with my friend, John. 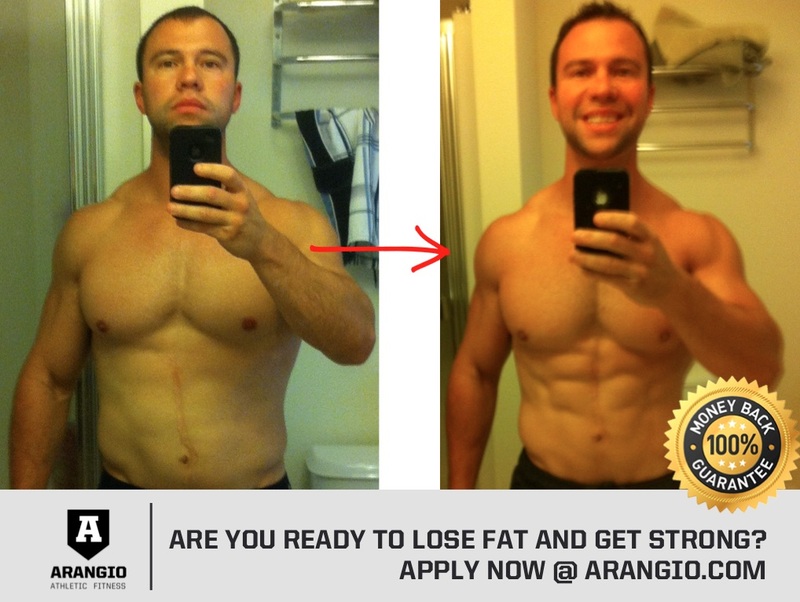 He’s been a Premium Fitness-and-Nutrition Coaching Client for over three years. During that time he’s lost 20 pounds of bodyfat and, most importantly, maintained his excellent health. In our discussion we cover a bunch. Things like the importance of following a proven plan and doing the basics… like being consistent with your workouts and nutrition. We also talk about your #1 investment: Your health. The concept is simple: Invest in your health right now, so you can enjoy the best quality of life possible--for life. Those who invest in themselves are those who continue to grow and get better every year. They are the kinds of guys who inspire others. The guys who actually achieve their goals. Those who sit around and deliberate, thinking that they'll wait for next time, or that they can't afford it, or that the timing isn't right are the ones who get nowhere. They remain stuck in the same place. Year after year. Forever. Even if you find yourself feeling busy and overwhelmed, never forget to take care of yourself first because you’ll have a tough time helping others if you’re in a hospital bed. 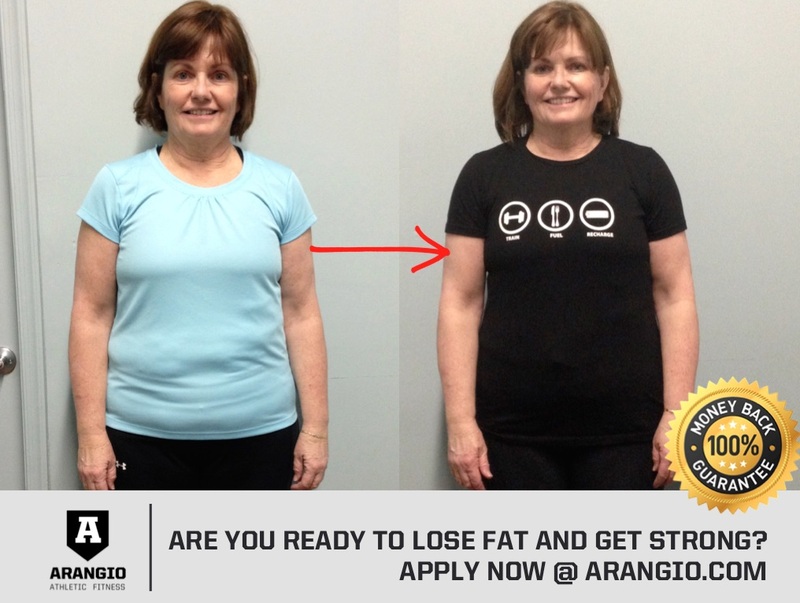 When you are ready to get lean, strong, and slow aging, I’d be honored to help. "Block out distractions and FOCUS on your most important task." - John L.
Some Folks Are So Sedated by Their Obesity and Unhealthy Habits That the Threat of Death Doesn't Even Bother Them! A few of my personal friends are family-medicine physicians and can attest to the fact that many of their patients are obese and doing nothing about it, despite grave warnings from their doctors. Obese folks just kind of shrug their shoulders and continue to follow the same habits that are keeping them fat, sick, and unhappy. Now what I'm about to ask will take some guts on your part. You need to be courageous here. It will also require that you care more about SAVING your life than about HURTING your feelings. I want you to be 100% transparent with yourself right now. "If you want to be lean, strong, and healthy, so you can truly enjoy your life... you will need to leave your comfort zone to do it." - Edward Z. 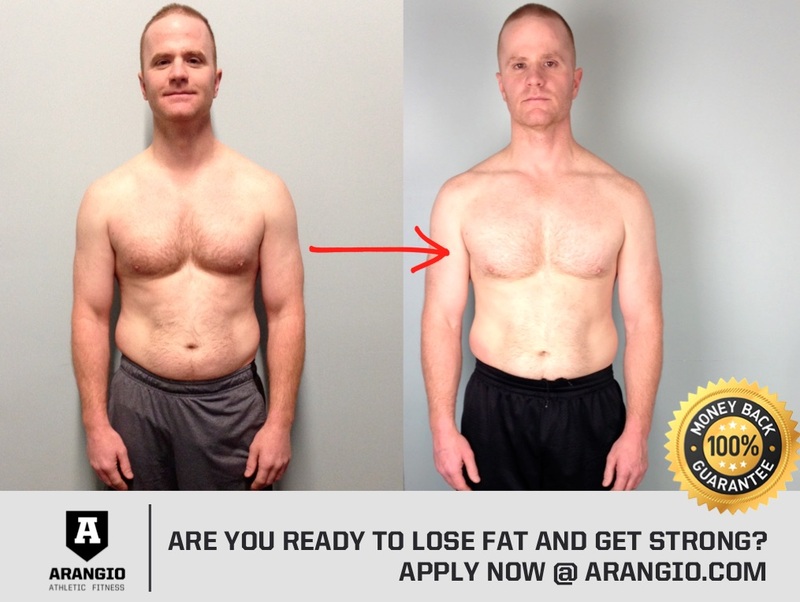 "How do I shift from feeling fat, sick, and out-of-shape... to being on my way to athletic levels of bodyfat?" "What are the steps to get me there?" It all often boils down to the Domino Effect. 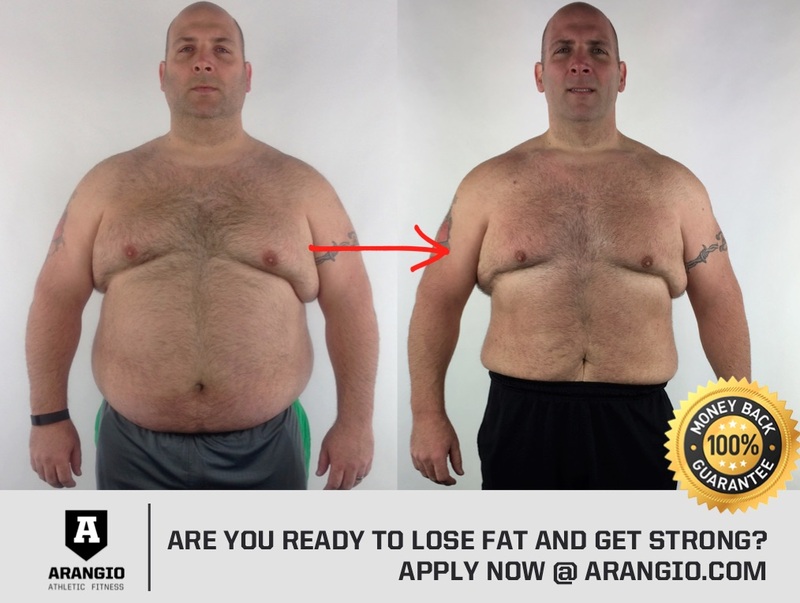 What is your first domino that will automatically trigger an unstoppable chain reaction knocking over every other obstacle in your path to having the body that you want? Perhaps you need to ditch the crabs, and negative "friends" in your environment. You know, the ones who are very critical of everyone and everything. The "friends" who will only be satisfied when you are as miserable as they are. Maybe you should actually schedule your workouts--like an important appointment that you simply can't skip. Not just the day and time of your training session, but also what exact workout you will follow on that particular day. Speaking of workouts, you MUST follow the principles of progression and overload. This is the OPPOSITE of randomized workouts which will eventually break your body. Maybe you need to batch-prep your meals. At our house, Sharon orders groceries online and they deliver to our doorstep. This eliminates a common excuse of hating to go grocery shopping or "not having enough time" to pick up groceries for the week. Next step involves an oven, two big cookie sheets, a lean protein (chicken oftentimes) and a carbohydrate that is low in calories yet high in nutrients (cauliflower and broccoli for example). We ("we" meaning Sharon) bake everything for 20-30 minutes and then portions it out in these containers. In this picture, you'll see my favorite turkey burgers paired with oven-baked broccoli in some of these meals. 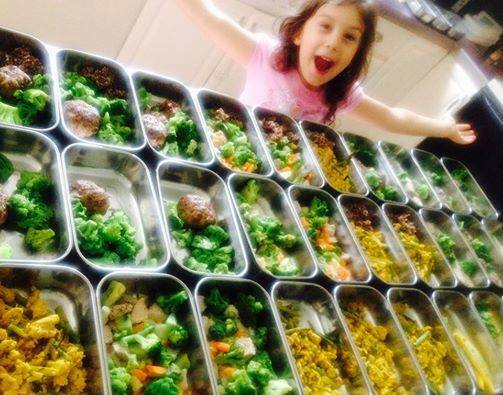 Our daughter, Giavanna, sampled the finished meals and confirmed everything is delicious. But oftentimes people don’t focus on that all-important first domino. Instead you do what you’ve always done and think you’ll magically arrive at the body you want. This is a lie we tell ourselves. Understand that as a boss or employee, parent or spouse, family member or friend... it's your responsibility to take care of yourself. I would go so far as to say it's your DUTY to be strong and lean. Ignore that and everything else becomes harder and more stressful. But embrace it and everything else gets easier. So knock over that first domino… follow the fundamental daily habits used to shape the body and life that you want. 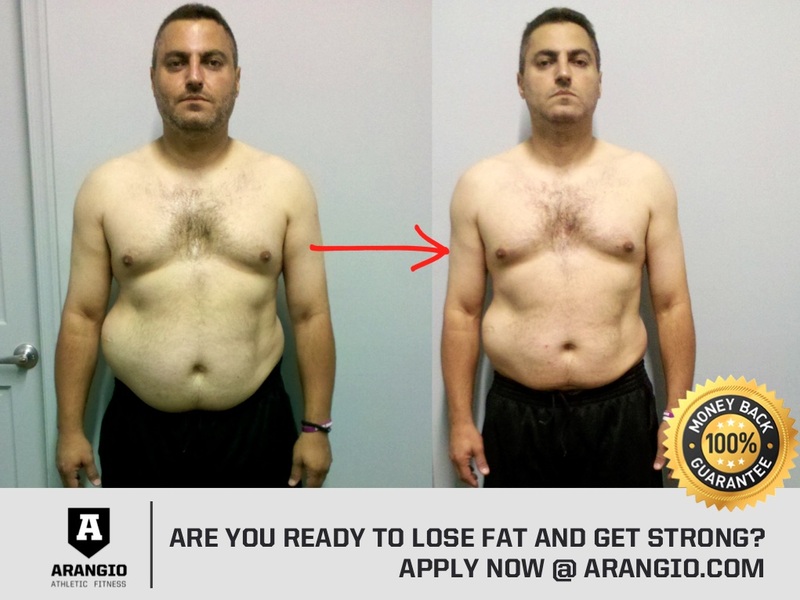 …and I’ll give you the knowledge, systems and tools so that you can lose fat and get strong. ...and never feel like you’re just existing... versus actually living. So if joining a positive team is your first domino… we’ve got you covered. 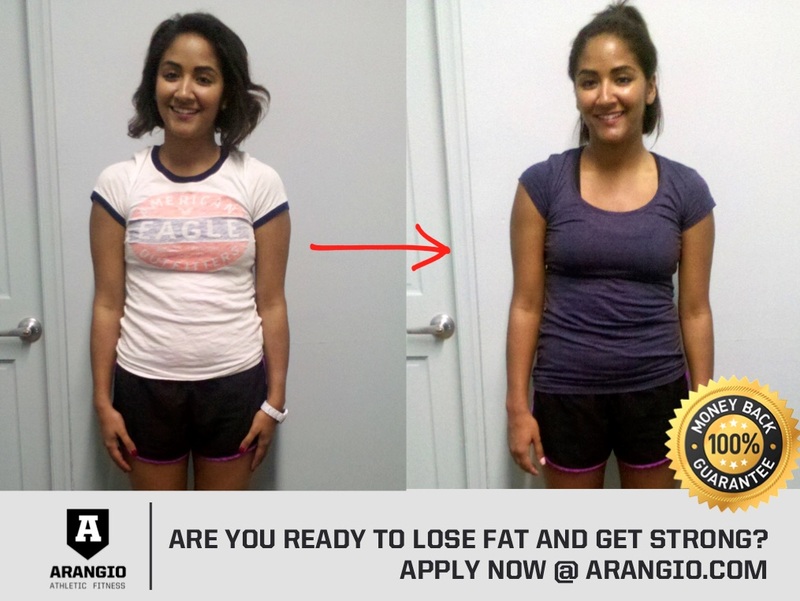 If getting the exact training program to achieve your goals is your first domino... we've got that covered too. Same goes for creating a nutrition plan that's going to help you achieve athletic levels of bodyfat. Continue reading if you want to join a positive, supportive team... and finally achieve your goals. "It's your DUTY to be strong and lean." - Ray F.
Insanity Is Doing the Same Thing Yet Expecting Different Results. If you're looking to make positive changes in your life, you must follow a proven plan. You must do what you haven't done in the past. If you don't, things will most likely stay the same. Go ahead and apply to become a coaching client. 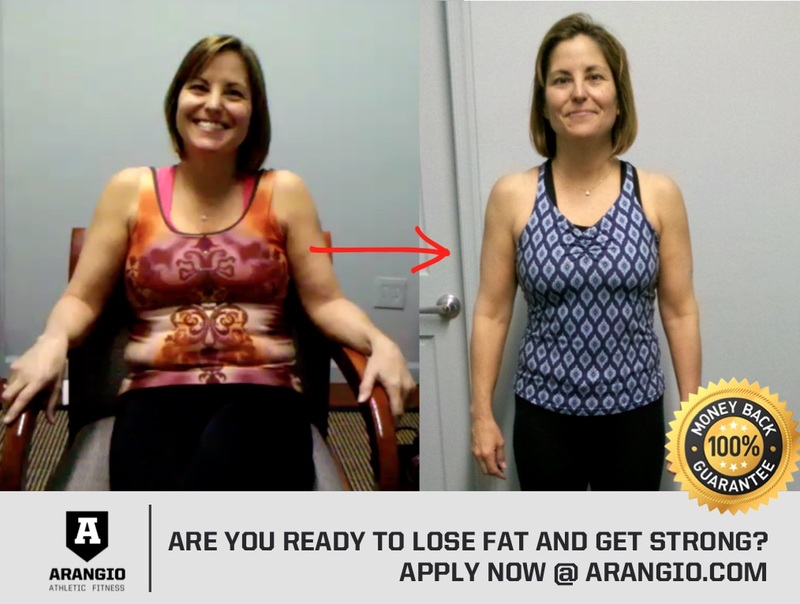 We can do this online, from anywhere you have an internet connection, or in-person at our world-class fitness-and-nutrition coaching facility. Either way, the first step is to click the orange button below and enter your best email to begin your application. The application asks you questions about your goals and time frame to meet your goals. Then I'll ask you to schedule a 20-minute call with me, to discuss your goals in detail. If you are coachable, I'll invite you to meet with me for a complimentary 45-minute Body Diagnostic Session. We will meet face-to-face, or virtually online using a video conference, to finalize your goals, deadlines to achieve the goals, and also create a plan of action. And then we will take action and begin the journey. P.S. When you apply, you'll get no-nonsense advice about accountability, mindset, training, nutrition, and recovery from me. 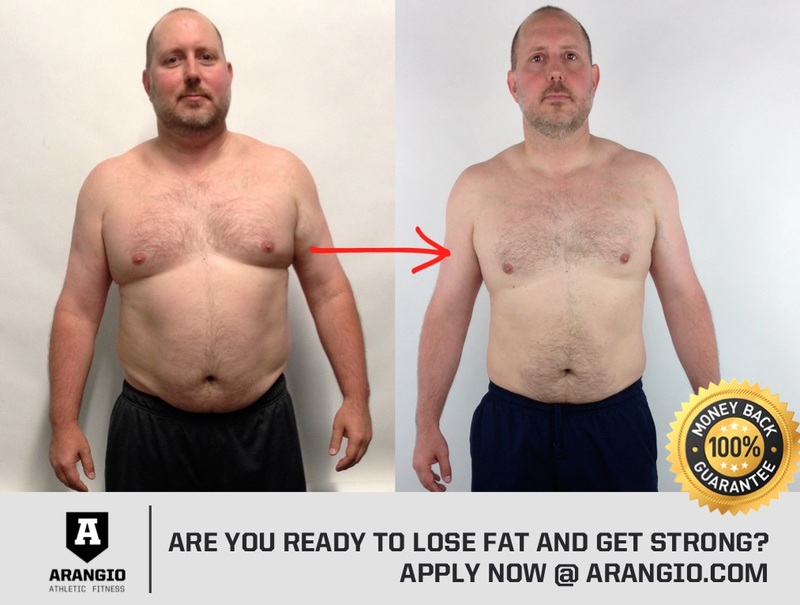 I'm a world-class strength-and-conditioning coach who, since 1996, has delivered over 100,000 workouts to successful client-athletes around the globe. P.P.S. And you can walk away from the phone call with confidence--knowing the exact action steps required to lose fat, get strong, and slow aging. P.P.P.S. The call is confidential and complimentary; however, you must apply first. Simply put, we guarantee your results. 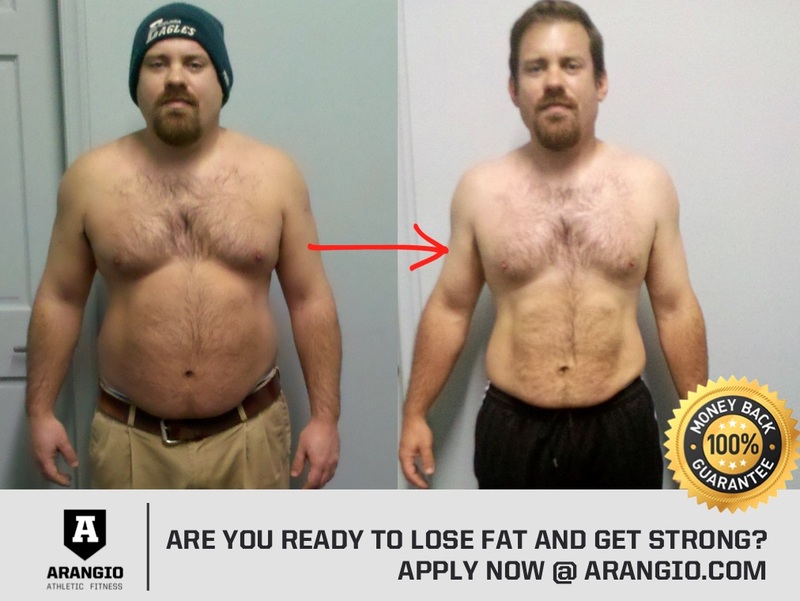 If you are unsatisfied with your progress after 90 days, we will refund 100% of your tuition. 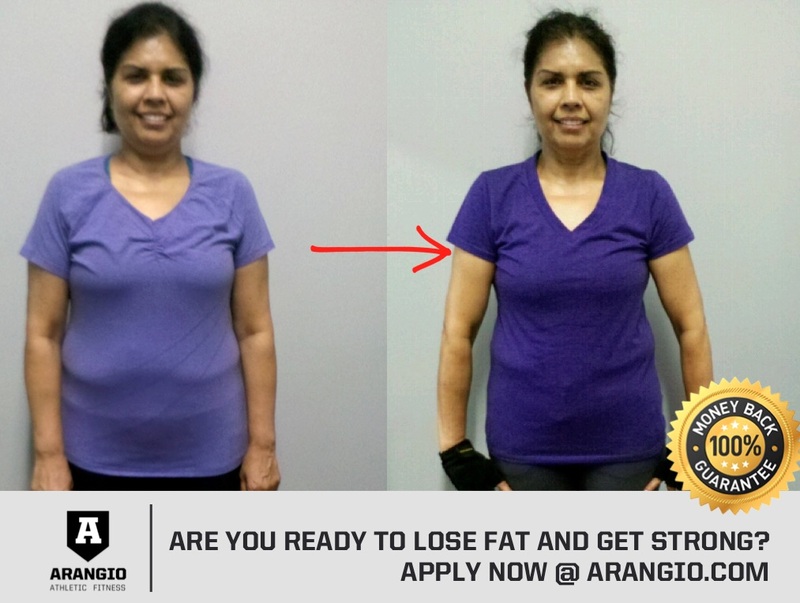 That’s how much we believe in our body-transformation system. 1. You will give the program an honest try. 2. You will complete at least FOUR workouts per week, online or in person, over 90 consecutive days. 3. You will follow the custom-tailored nutrition plan and get quality sleep. 4. You agree to keep a daily journal. 5. You agree that the investment, starting at just $99/week, is affordable and will not cause financial stress. 6. You will not cheat us. Justin knows what it means to take imperfect action. 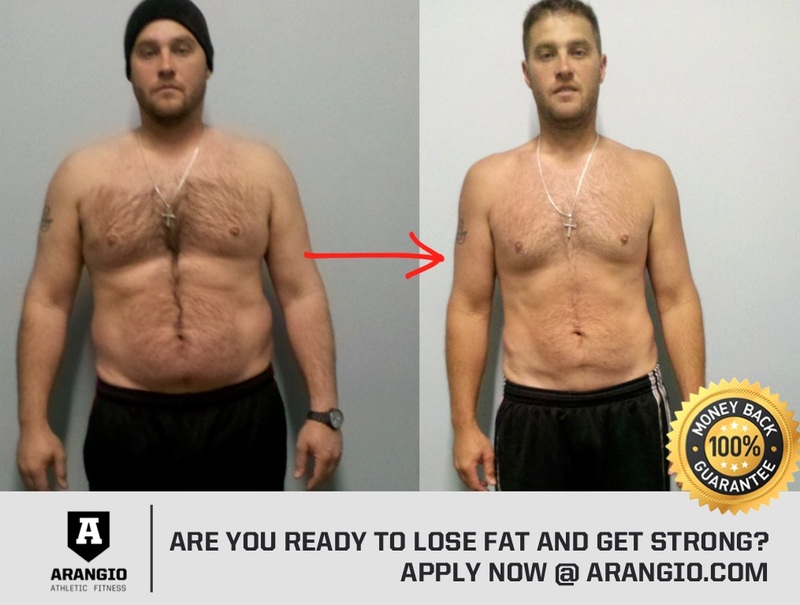 He dropped 40 pounds of fat in 13 weeks. No pills or magical potions... just small changes each week. One of the most popular approaches when it comes to re-building your body is to suggest that someone create many "large changes" all at once. But while I believe that creating a "Large" vision is s good idea... I think making too many changes is a recipe for disaster. Instead, on most days, you need to focus on acting small. Justin followed this exact strategy, and you can too. Acting small is about NOT getting overwhelmed by the enormity of things. 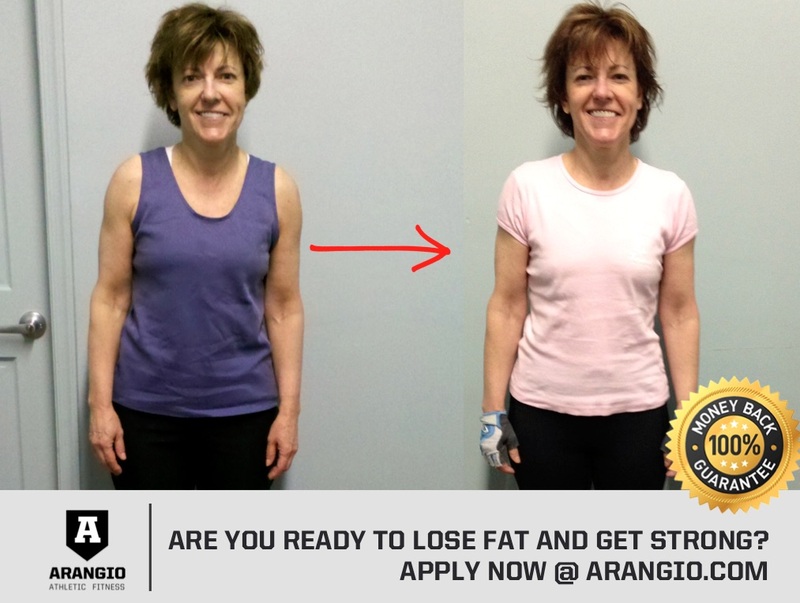 If you are currently losing ZERO pounds of bodyfat per week and you "Think Big," you might say you want to eventually lose 1 pound each week. While I’m confident that you can achieve your goals if you're focused on them – you have to get to 1/2 pounds of fat-loss per week first. Then 3/4 pounds per week. If you want to go from one mediocre workout per week to exercising every day, you'd be foolish to consider this as a viable goal. It makes more sense to focus on achieving four 45-minute workouts each week. To re-build his body, Justin trained on Mondays, Tuesdays, Thursdays, and Fridays for 45 minutes each day. If you only think about the Big target, you’ll almost always get overwhelmed. #1. Set your Big Goal or Target. Aim high and develop a vision that inspires you. #2. Now, reverse engineer it. Work backward from where you want to be to where you are today. If you need to lose 50 pounds of bodyfat to get healthy – decide how long it will take. Let’s say you decide that it will take you 50 weeks. That’s a loss of 4.3 pounds fat loss per month. Let’s assume that you have a few-too-many beers and pizza slices once a month and also skip some workouts, so maybe to lose 50 pounds of bodyfat it actually takes you 18 months. If you use my basic 1-pound-of-bodyfat-loss-per-week method that we teach in our fitness-and-nutrition coaching program, your results are very predictable. Our system is safe, fun, and effective... so much so that we guarantee your results. #3. Go eat your 5-6 small meals per day and train 4 sessions per week with a coach. That will ensure you're eating based on your goal... not too much or too little. Training with an experienced coach ensures you're getting the minimum effective dose of exercise... not too much or too little. #4. When you lose your 1-pound of bodyfat each week – celebrate your win along the path to your end-goal (insert beer-and-pizza joke here). #5. Repeat it again and again. If you break your Big Goals or Big Tasks into smaller, more manageable pieces, it not only makes it easier to see how you’re going to get there – but it will also eliminate procrastination and cut down significantly on stress. If you'd be interested in my help creating realistic goals, and crafting a plan to get there - Apply Now. NOTE: We can put you in touch with any of these men if you want. So ask yourself this: If you continue doing the same thing you're doing today, a year from now, will you be better, the same, or worse? Because insanity is doing the same yet expecting different results. What if I said that I guarantee you will achieve your goals, if you follow my research-proven formula? And just to sweeten the pot, I'll refund every penny of your tuition if you're unsatisfied. In other words, you have absolutely no risk. There is no downside. 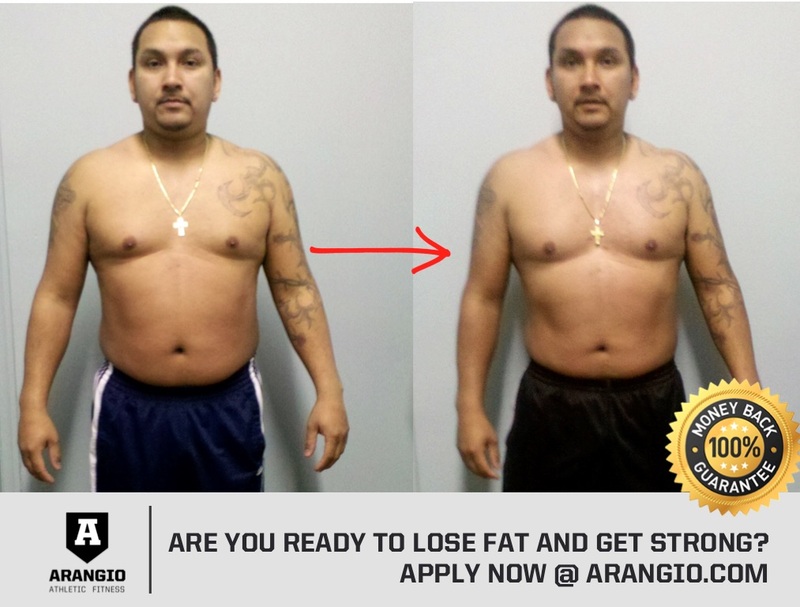 Only the guarantee of lower bodyfat and more strength... which effectively helps to slow aging. Coachable folks are always successful... and that's exactly why I can guarantee your success. Because, simply stated, I will weed out the folks who are UNwilling to follow the proven plan and DO THE WORK. My program is not magic. It is not for the uncoachable. It's not for the cynics. It's not for the naysayers. 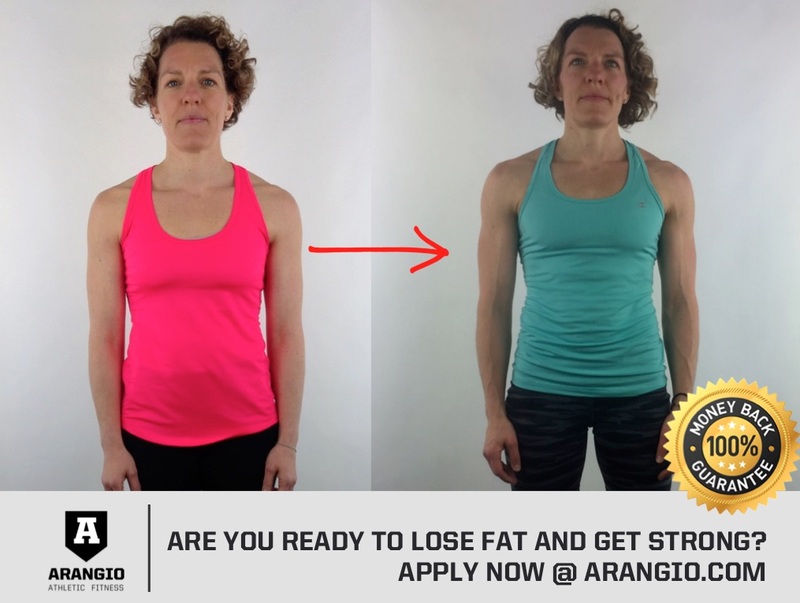 It's for the individual who wants to lose bodyfat and get strong... and wants an expert to shortcut their success and guide them every step of the way. Because NOTHING matters except that you have fun, stay safe, and achieve measurable results. 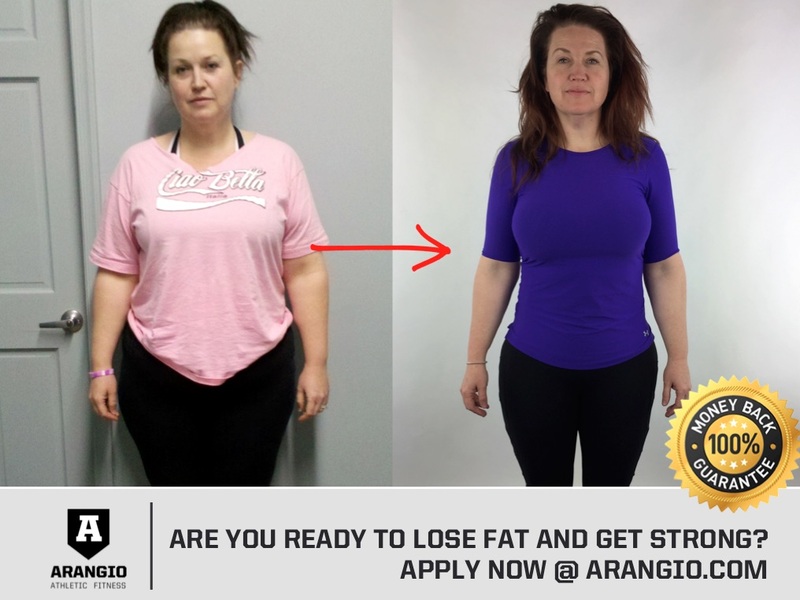 Meet Alison, who has achieved athletic levels of bodyfat and strength over the past two years... while balancing a professional career, a family business with her husband, three young children, and every other grownup responsibility. She's in arguably in the absolute best shape of her life, at nearly 40 years young. By the way, Alison reports feeling happier and more able to manage stress. 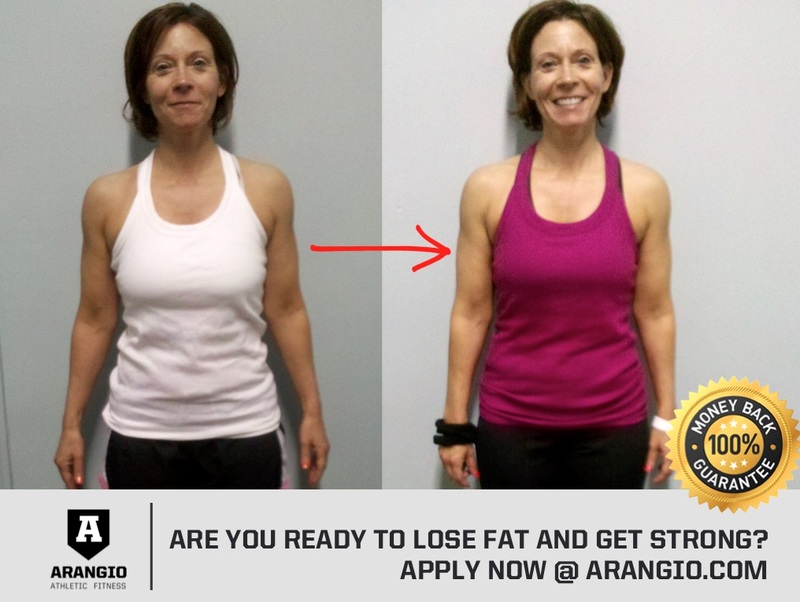 My recommendation for Alison is that she focus on maintenance of her current strength and bodyfat. No more and no less. ...it's not like to graduate to being a couch potato when you hit your goals. Right? So go ahead and Apply Now to get started yourself. Brittany Azzolina renovated her body, her health, and her life. These pictures are only 8 months apart. I had been reading Coach Joe’s emails since 2012. I used to forward them to a friend, joking that we needed a coach like him, one with an honest and direct approach. 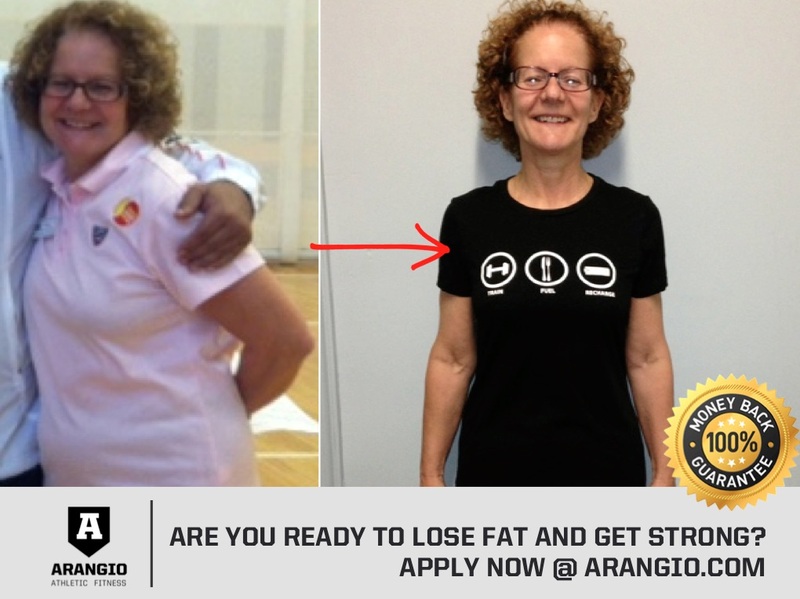 I never considered joining even though I was struggling with my weight for the past 10 years. After all, it was too far away, I didn’t have the time or money, and I am a busy working mom. I’d always been an active person either through team sports, hiking, or outdoor activities. As an adult, I could never seem to get my fitness, diet, and lifestyle all in balance at the same time. 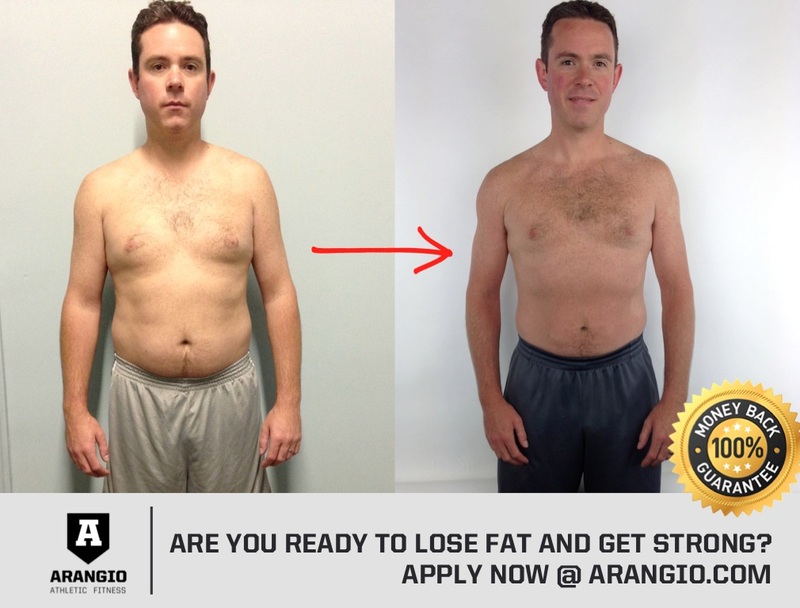 I worked with trainers in the past, joined running groups, and entered races looking for the one magical thing that would help me lose body fat and finally become fit. I had become increasing overweight and very uncomfortable in my own body. If I made progress, I was never able to sustain it, leading me back to the same cycle of frustration year after year. I was beginning to accept that change was not possible. After having surgery in March 2016, my second major one in a year, recovery gave me more of an opportunity to make excuses for myself. I began contemplating working with Coach Joe and thankfully decided to respond to one of his emails. For the past 4 years, I seemed to view his fitness questions as rhetorical ones. Not that day! My initial conversation with Coach Joe was the beginning of an emotional process of accepting that I was responsible for my body. How did I end up in this body that no longer felt like me? I was done. I wanted to feel like myself again. I knew I needed a coach. People often ask me why I chose Coach Joe. So many reasons- his experience, his knowledge, his honesty. The simplest answer- I already knew that he would FULLY commit to me. And when I was finally ready to FULLY commit to myself, he was the coach I wanted to work with! Every day I am getting closer to my goals. After 8 months of consistently training and following the nutrition plan, I lost 40lbs of body fat, look and feel younger. Not only did I recovered from surgery, I saw my body changing immediately. I am now redefining my understanding of healthy eating. I look forward to 4 days a week of training and the supportive environment. His workouts are well-planned, based on evidence and extensive experience. They challenge me physically, but he continually challenges my thought process and the behaviors that sabotage my success. Coach Joe helps me to recognize when my limitations are self-imposed. I feel empowered, driven, and motivated to keep pushing. I continue to set new fitness goals, ones that I never believed were possible. I look back wondering what took me so long to invest in myself. I’ve realized that not all fitness programs and coaches are the same. The essentials: the motivation to change, whole healthy food, a consistent training schedule, and an experienced coach- Coach Joe! Don’t wait. You have a choice. Each day I recommit to myself, my health, and Coach Joe’s program. Sharing pictures of myself is quite humbling. I am only partway to my goals. Today, pride has replaced embarrassment, knowing the athlete in me has emerged. So stay tuned.... with Coach Joe’s support, I am not done yet! NOTE: We can put you in touch with any of these women if you want. Free? Really? So your time is worth nothing? You’re going to comb through billions of web pages and magically piece together a process that works? How long’s that going to take? How many dead-end roads are you going to go down? How many mistakes are you gonna make? How many YEARS might that set you back? Smart folks invest in shortcuts because it costs way too much time not to. This is why Sharon and I invest in coaching too. Instead of drowning in free information, I’d rather invest in someone… who already has what we want… to tell us what we can IGNORE. Now this guaranteed-results coaching program, which is absolutely risk-free, may not be for you. But this message is. Do you want to live a high-quality life while you’re still healthy enough to enjoy it? Please cherish every minute. Because sooner or later you will run out of time. "Nothing else has worked for me up until now. Why’s this gonna be any different?" Most workout programs and diets are too complex, too short-sighted, or both. So unless you’re Jack LaLanne, you’re paralyzed by information overload. Not the case with our-fitness-and-nutrition coaching progarm. How come? Well… losing bodyfat, getting strong, and slowing the natural aging process requires a no-nonsense plan and some common sense. (And we’ve got step-by-step training programs and done-for-you nutrition plans if you’re running low on common sense.) Just remember that you must take care of yourself before you can be a good caregiver to others. You owe it to yourself, and everyone counting on you, to get in the absolute best shape possible. "I’m low on time. How can I fit this in my schedule?" Who isn’t? We’ve all got families and drama and grownup responsibilities. And don’t think you’re the first out-of-shape human to combine healthy eating with a few weekly 45-minute workouts, in addition to balancing some dreadful job that robs you of 40+ hours per week. Point is, it’s doable. And remember, our results-guaranteed fitness-and-nutrition coaching is all about minimum effective dose. We’ll show you how to work smarter, not harder and longer. "What if I can’t get results?" Relax. Sharon and I and a growing community of like-minded coaching clients… all have your back. Our goals for you are as follows: 1. Stay safe, 2. Have fun, and 3. Get measurable results. You will become a part of our family and our community as soon as you officially join. As long as you take imperfect action and follow-through, you can’t fail. 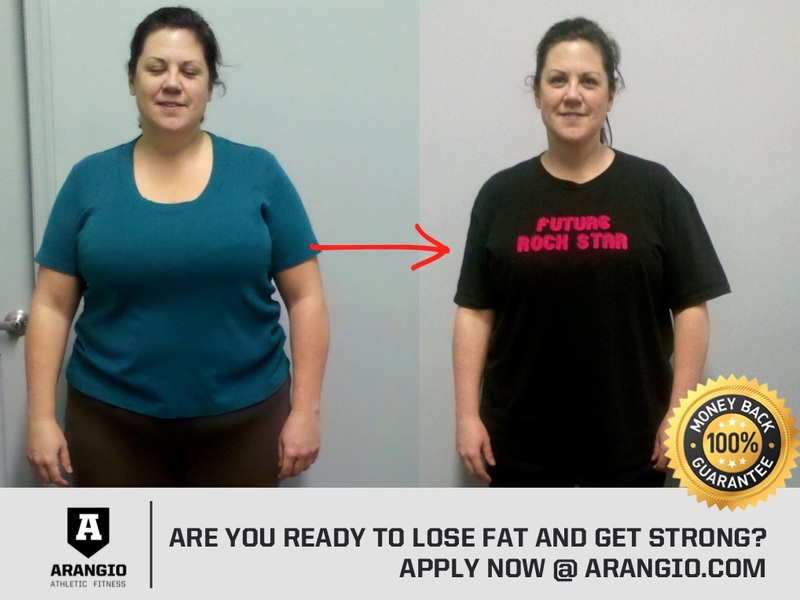 Somebody once said that our body-renovation program helps “turn bulky butter beans into svelte pea pods.” I guess you could put it that way; however, many of our client-athletes are already very fit and want to maintain excellence. 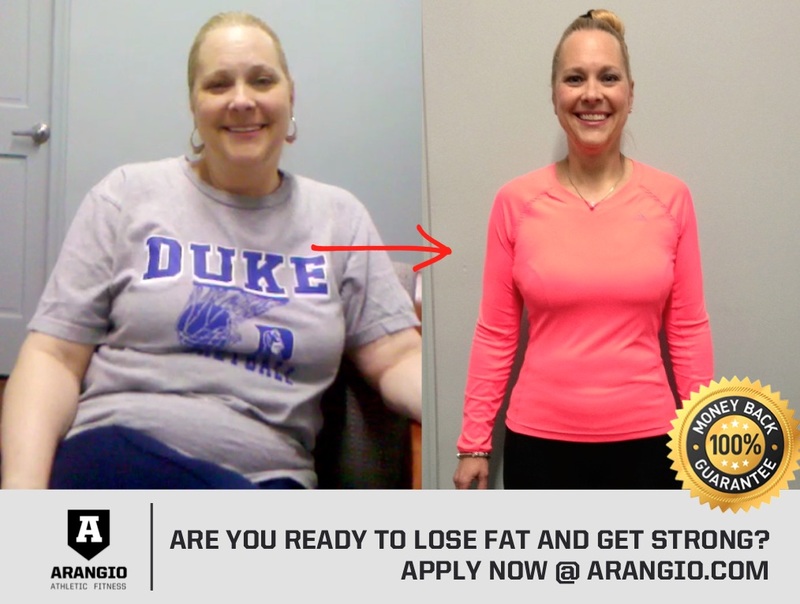 No matter where you are in your journey, we guarantee your results. 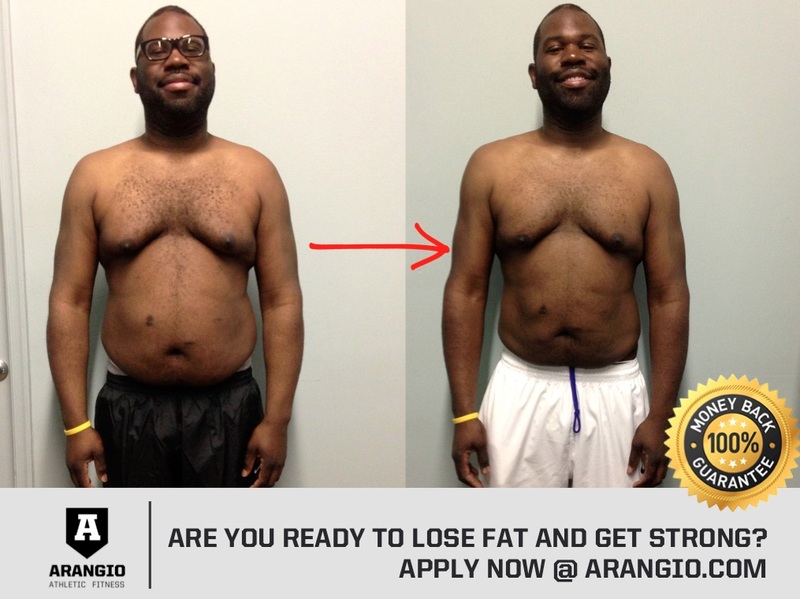 If you are unsatisfied with your progress after 90 days, we will refund 100% of your tuition. "Who is this 'Coach Joe' fellow?" Coach Joseph Arangio, MS, CSCS, is adept at writing in the third person. 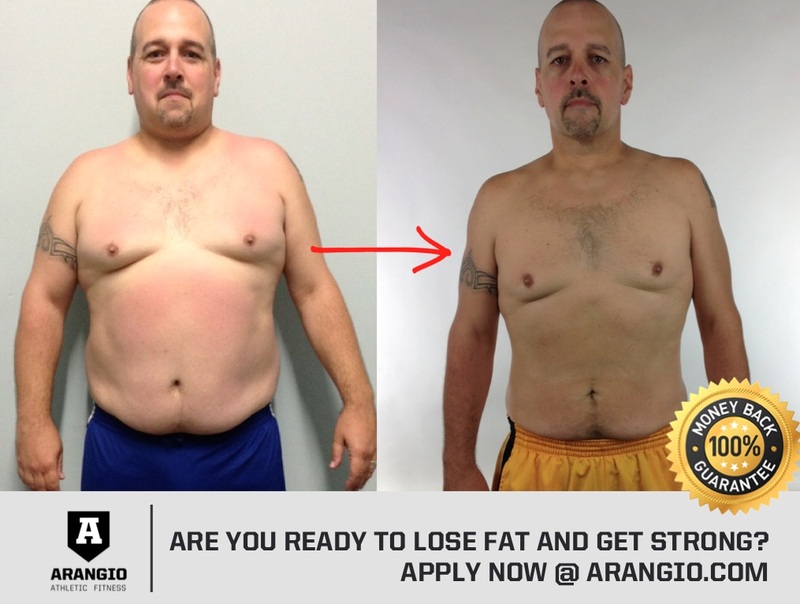 He has delivered over 100,000 workouts to satisfied clients in the Lehigh Valley and, online, around the globe, since 1996. He’s a subject-matter expert in the field of of strength and conditioning, with over 55,000 hours of study and hands-on coaching experience. 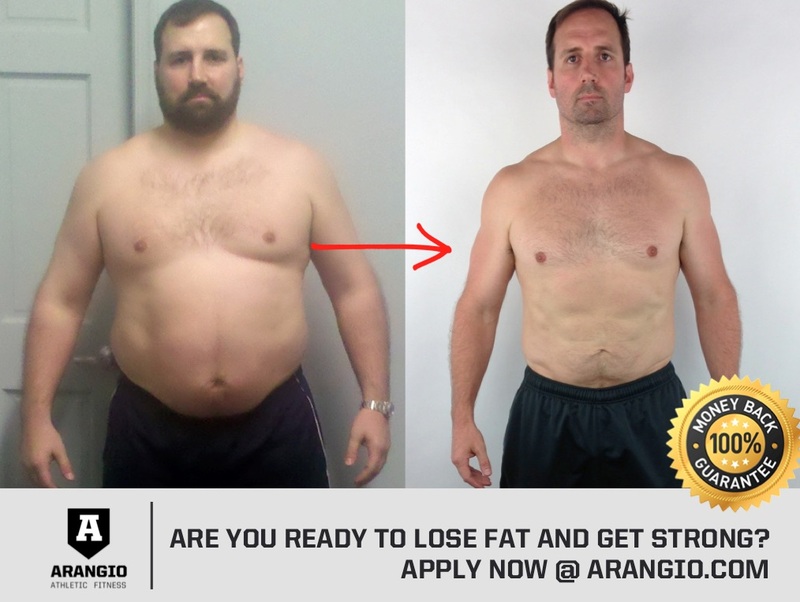 Arangio officially became a certified strength coach in 1996, but unofficially started researching and designing workouts in middle school (for my, I mean his, middle-school football teammates). He has written a few books and regularly contributes his teachings to the world’s biggest health and fitness publications. 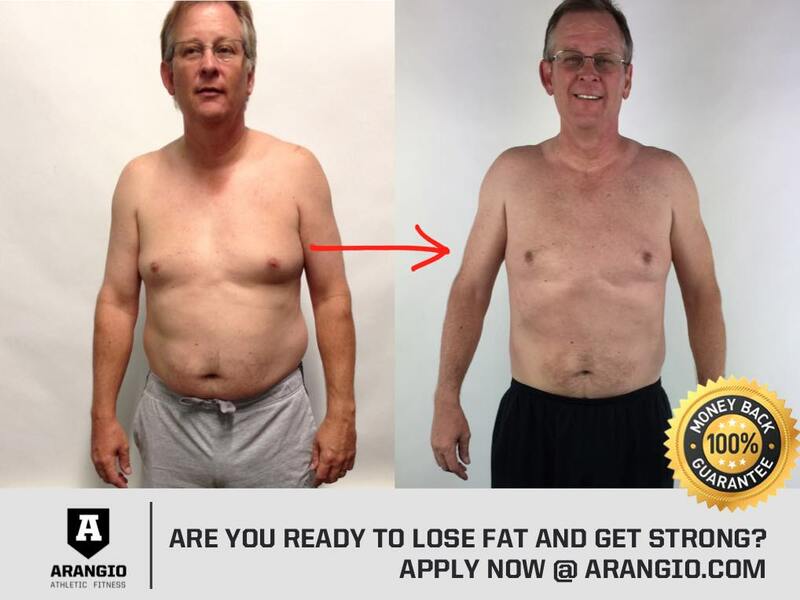 Most important, Coach Joe has a PROVEN paint-by-numbers, 100% results-guaranteed formula to help you lose bodyfat, get strong, and slow aging. It’s free to apply and speak with Coach Joe for the 20-Minute Discovery Call. If we, after discussing your goals, determine you are coachable, you’ll be invited to join and we will schedule your complimentary Body-Diagnostic Session. This takes around 45-minutes and we will map out a plan based on your goals and deadlines to achieve success. Online coaching starts at $99 per week and is a month-by-month investment, so you can cancel at anytime. This approach is helpful because all you need is an internet connection and a good attitude. Everything you need for success is delivered virtually, online so you can work with us 24/7 from anywhere in the world. 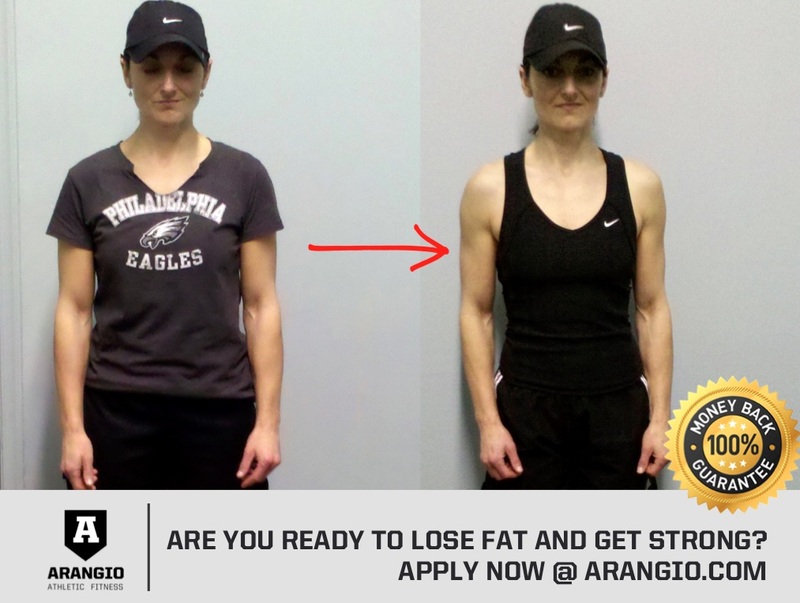 Some folks prefer to work with us, in-person, at our world-class “Premium Fitness-and-Nutrition Coaching Program.” In other words, you meet with our expert coaches over four weekly 45-minute coaching sessions at our facility in Allentown, Pennsylvania, USA. 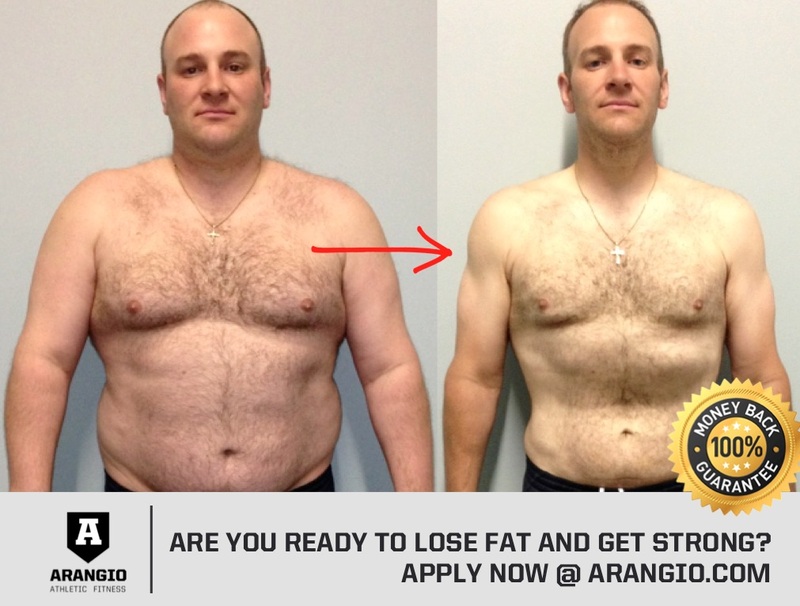 The investment in the Premium program starts at just $229/week. Whatever you choose, remember that both online or in-person coaching is backed by our 90-day money-back guarantee. So we have removed all risk for you. But this is a good time to address the naysayers, cynics, and crabs reading this: If an investment of $99 per week will put you in financial distress don’t bother applying. 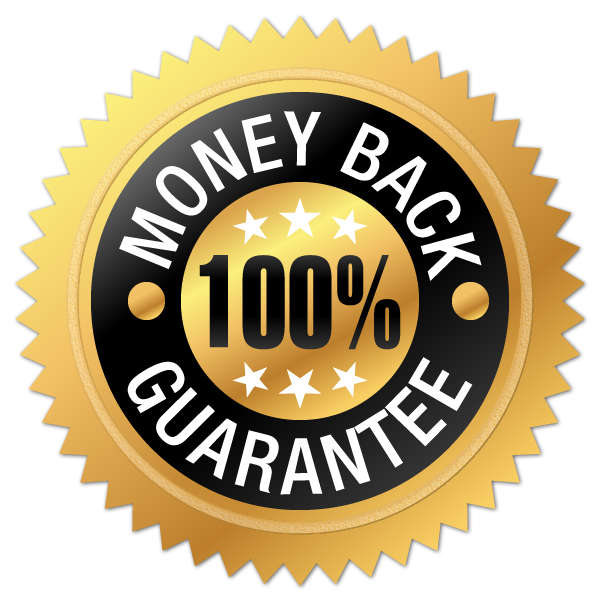 Also, if your intent is to take advantage of our guarantee and intentionally defraud us, please click away from this page right now. 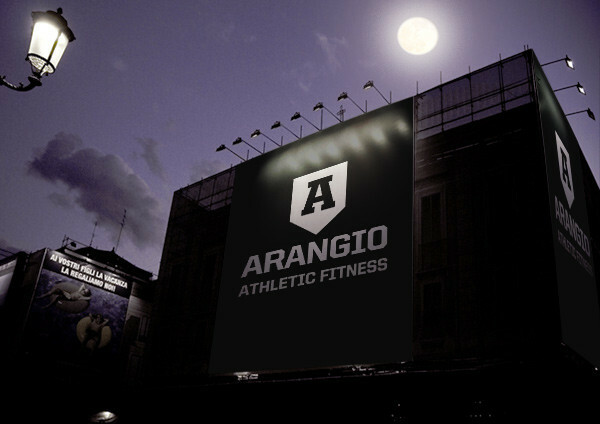 You see, Sharon and I run a family business and our client-athletes are our like family. We choose to serve fewer clients better and, as a result, hand-pick each client. This ensures we are investing our time and energy with cool people who are honest in their intentions and serious about getting in the best shape ever. If you are honest and have integrity, we welcome you to apply. "Okay, I think the online option is for me. What exactly is included?" I’ll answer this with a quick story. Many years ago a middle-aged woman called our facility and asked if we use kettlebells in our training program. I was on the phone that day and responded simply, “Why does it matter?” You see, this lady was majoring in the minors. The tools we use really don’t matter as long as you stay safe, have fun, and get results. Truthfully, nothing else matters. 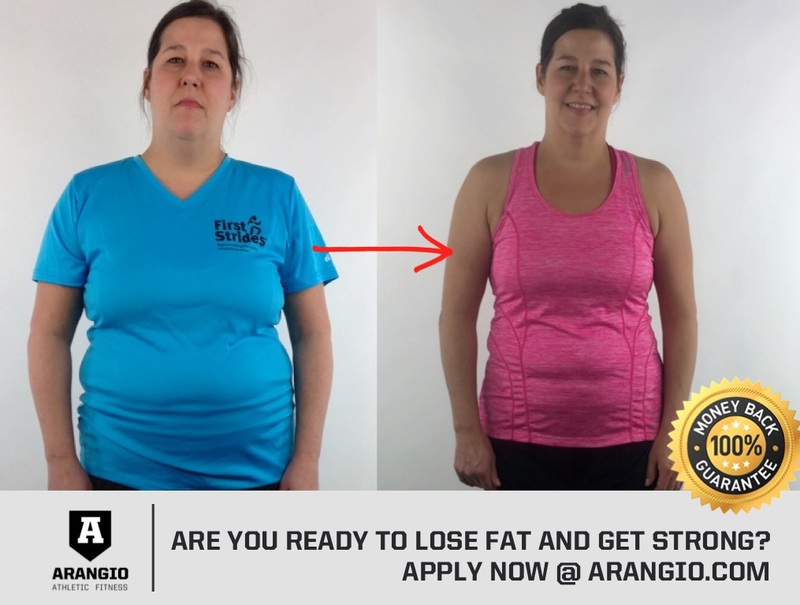 Now our online program gives you all of the tools you need: a proven workout plan that is research-based and real-world tested, plus a habit-based nutritional program (we will even ship meals directly to your doorstep if you refuse to cook at home). We also provide support and accountability and do our best to ensure you are recovering from training (by asking the right questions). Specifically, you will apply for the 20-minute call and then proceed to the 45-minute Body Diagnostic Session if you are accepted. After the registration process is complete, and you are officially a client-athlete, you will be prompted to login to a special portal where we will deliver everything you need to achieve your goals. Not to brag, but this is not our first rodeo (go ahead and google “joseph arangio fox business news”). We’ve been coaching clients virtually, since 2004, and our current system consists of the only the tools that guarantee your success. If you’re looking for a bunch of useless bells-and-whistles which push even more useless data into shiny graphs and spreadsheets, go buy a fitness-tracker-wristwatch thingie. We let our results speak for themselves.